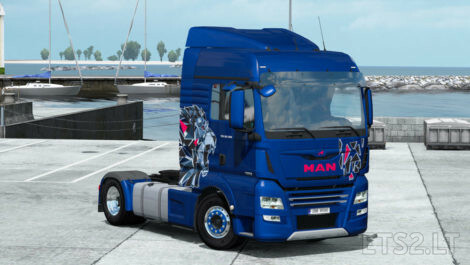 Skin Lion 500 Edition in normal red or custom metallic variant for MAN TGX Euro 6. Textures for painted wheels by abasstreppas included. New textures for Performance Lion interior to match Lion 500 Edition skin included. Really nice skin, thanks !